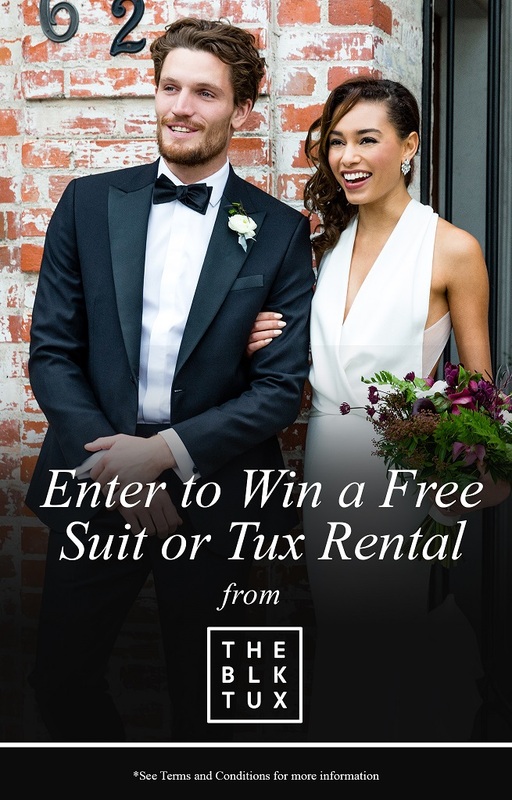 Enter to Win a Free Suit or Tuxedo Rental for Your Wedding! Your groom deserves to look like the sharp, sophisticated man you know he is, which is exactly why you’ll love the ultra-simple process of suit and tuxedo selection from The Black Tux. He’ll be able to find the perfect fit and style with the highest possible quality, leaving you both with endless confidence as you stand in front of all your adoring friends and family. We’re giving one lucky groom the chance to win a free suit or tux rental for himself and up to four groomsmen — which is the perfect money-saving opportunity you’ve been looking for to beef up your open bar and floral arrangements. Just submit the form below and you’ll be entered for a chance to win. This prize is valued at approximately $800, and the winner will be announced by May 7, 2018. Giveaway entries must be submitted by April 30, 2018, and all submissions acknowledge agreement to the Giveaway Terms & Conditions.